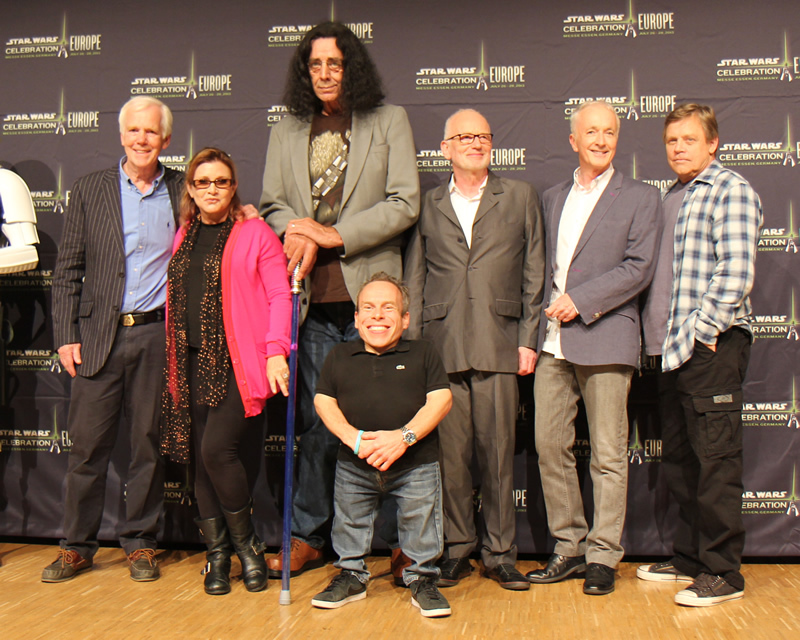 The first day of Star Wars: Celebration Europe II commenced in Essen, Germany, four years ago today. 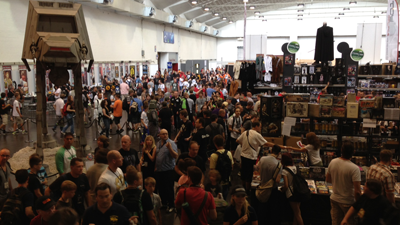 The Star Wars fan convention was held from July 26 to July 28 and served as a follow up to Celebration Europe, the first European official Star Wars convention (which was held in London in July 2007). More than 20,000 Star Wars fans were in attendance to celebrate the first Disney-led Celebration, which was hosted by Warwick Davis. The English actor portrayed the Ewok Wicket in Star Wars: Episode VI - Return of the Jedi. Lucasfilm President Kathleen Kennedy made her first appearance at a Star Wars Celebration as she announced that John Williams would be scoring Episode VII - The Force Awakens. Other major panels included a first look at Star Wars: The Clone Wars supervising director Dave Filoni's new project, Star Wars: Rebels. Carrie Fisher and Mark Hamill also led special Star Wars panels which named Straight Talk From a Princess and The Jedi Returns. Hamill subtly revealed that he had made a guest appearance on George Lucas' Clone Wars TV series and hinted at the possibility of him reprising his role as Luke Skywalker in J.J. Abram's The Force Awakens. What were your favorite moments from Star Wars: Celebration Europe II? Let us know your thoughts in the comments below.